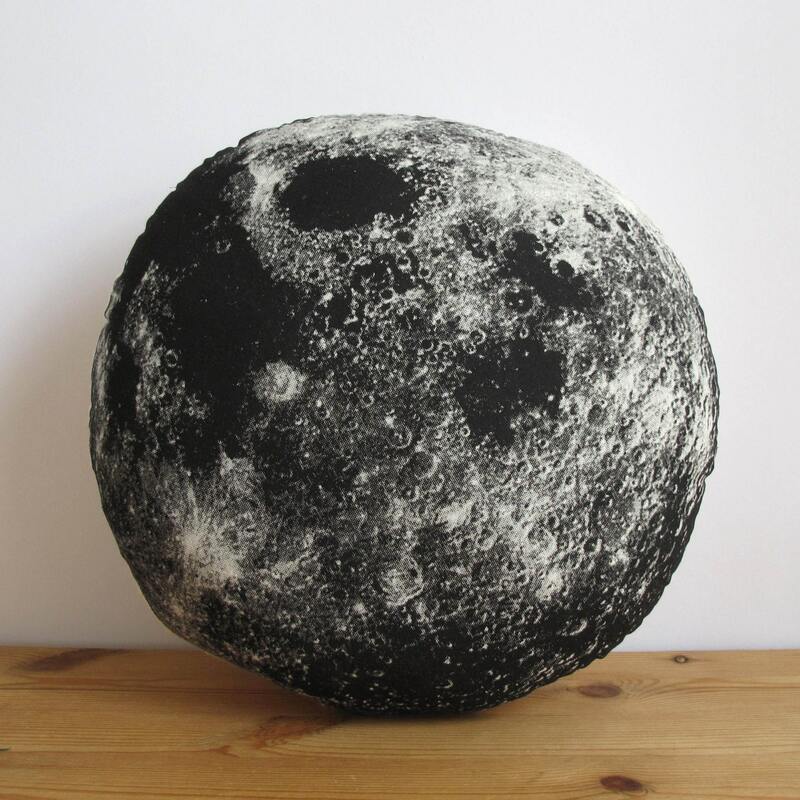 We are over the moon about this pillow! 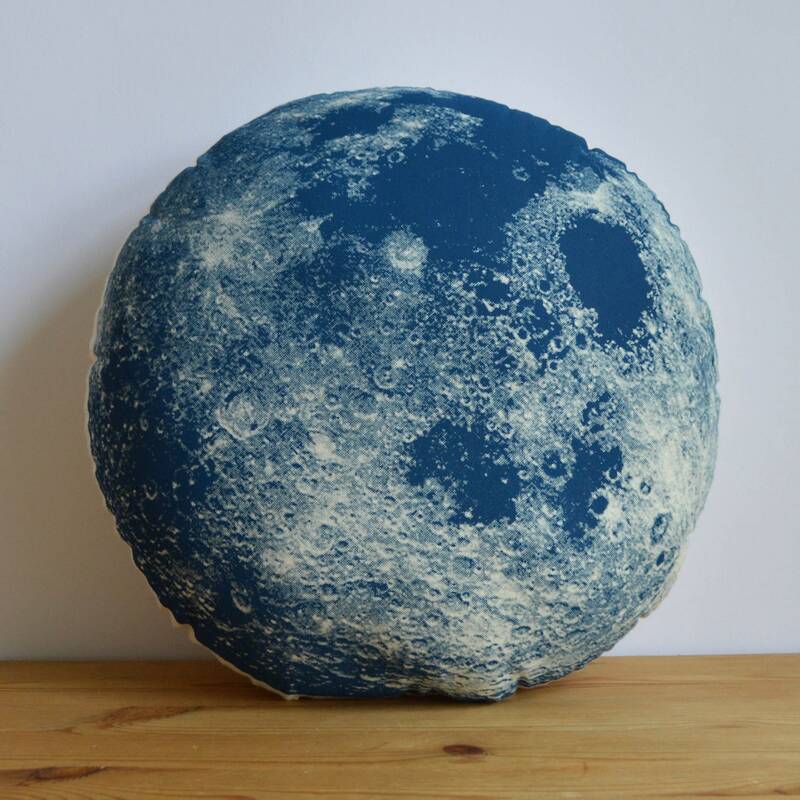 This one color silkscreen pillow is perfect for all of us that are enamored with the sky. Awesome! 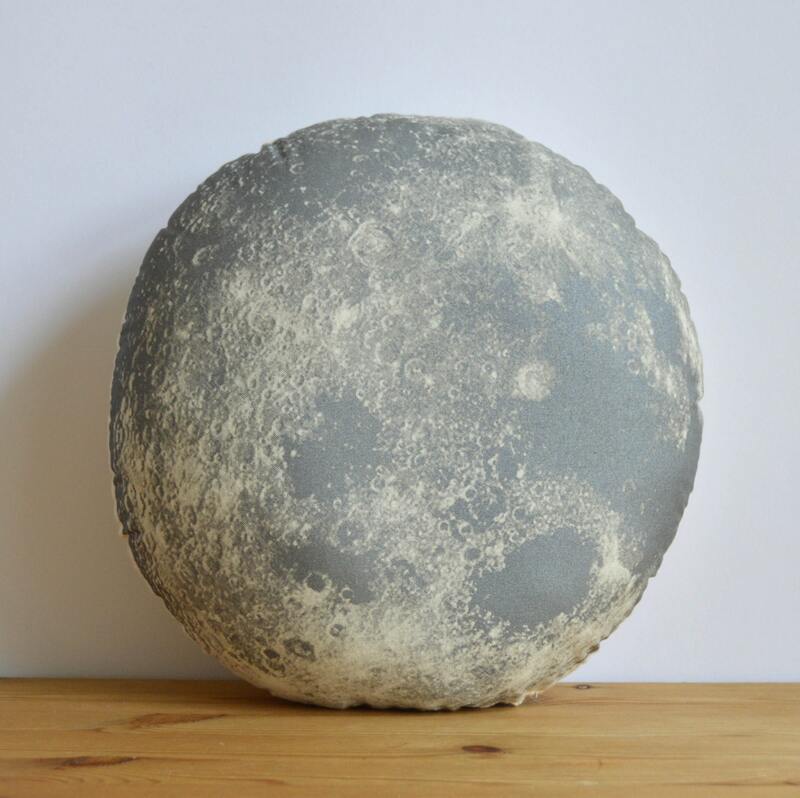 Bought this for my sons 1 1/2 year olds space themed "big boy" room and he is obsessed with this pillow and has taken to carrying it all over the house with him.